Comm Eye Health Vol. 17 No. 50 2004 pp 19 - 22. Published online 01 June 2004. Early detection of blind children within households and communities. Eye examination of blind children and referral of children with cataract. Good quality cataract surgery and optical correction. Follow-up care: regular and long-term. The child’s progress through these stages depends on a series of journeys: travel from home to hospital for cataract surgery; from hospital to home after discharge; then again from home to hospital for follow-up on more than one, and often many occasions. Although significant progress has been made in surgical management of cataract, uptake of cataract surgery in children is low in most resource-poor countries.3 This article discusses barriers to cataract services specific to children and proposes a framework for developing comprehensive cataract care. Suggestions are based on our experiences in Bangladesh. The framework could be adapted for other countries as we strive to achieve the aim of VISION 2020 to eliminate avoidable blindness in children. In resource-poor countries, particularly in rural areas, a child with cataract often stays at home as parents are unaware that the child is suffering from a treatable condition. 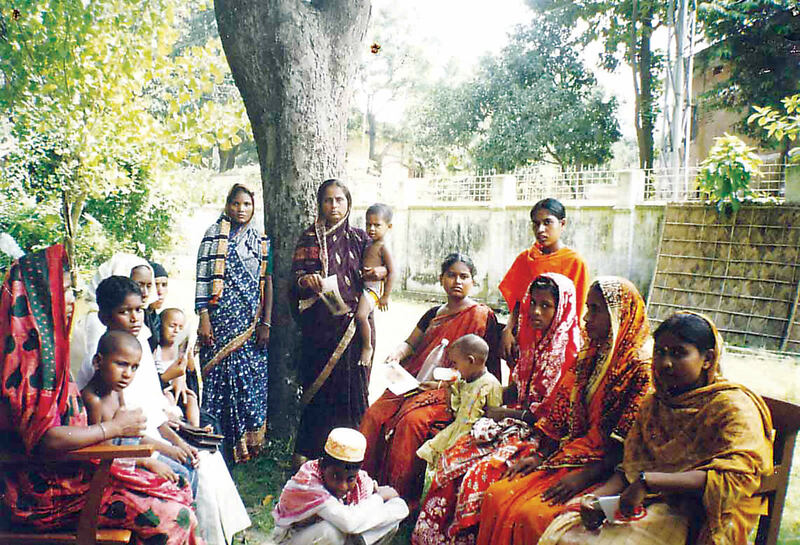 Barriers to early detection are related to the difficulty in recognising childhood cataract; beliefs which prevent family members from taking action if they notice a problem, and a lack of knowledge amongst primary level health care providers (traditional and modern) to detect childhood cataract (Box 1). When parents or relatives do recognise that a child is blind, a number of factors might prevent them from taking action: no access to eye care services; family decision not to seek advice; lack of referral or inappropriate advice from traditional or modern health practitioners (Box 2). Accepting blindness in a child, and acting on the advice that the child needs surgery in both eyes, is not easy for parents. Without appropriate counselling, many parents do not accept referral for cataract surgery even when surgery is offered completely free of charge (Box 3). Unlike cataract surgery in adults, long-term, regular follow-up over several years, and optical correction after surgery, are critical to achieving a good visual outcome. Commitment from parents is required but difficult to achieve. Again, there are major barriers. These include lack of clear communication between hospital staff and parents, lack of motivation of the parents, and financial barriers (Box 4). The barriers at the four critical stages of care for children with cataract are multifaceted, interlinked and span a wide range of factors. Any intervention should address the barriers simultaneously in a co-ordinated way. The following framework proposes a starting point for developing a comprehensive approach to cataract care for children. 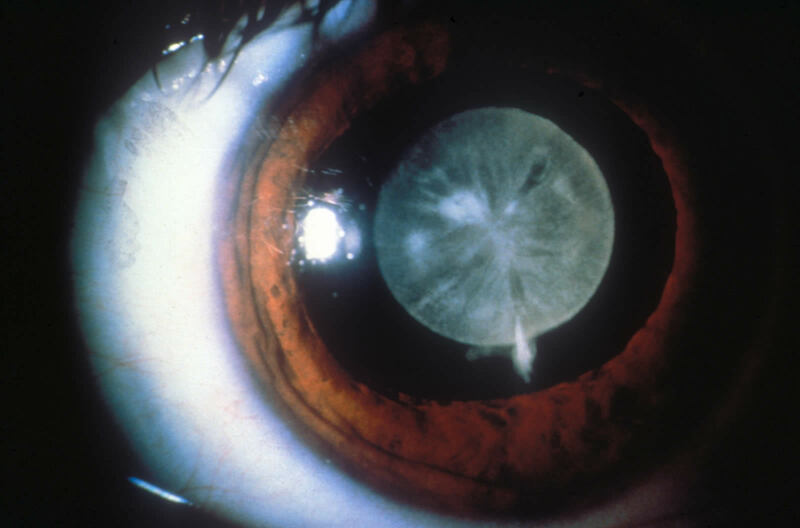 The first step is to raise awareness that cataract can affect children and it can be treated. A mass communication approach (radio, TV, village theatre, public announcements at communal gatherings, etc.) might be appropriate, with special attention to tailoring the message to the perceptions and attitudes of the target communities. Detecting childhood cataract requires a trained eye. Community members can be trained in ‘how to identify a blind child’. Their efforts could be coordinated by a ‘community facilitator’ in each district whose role would be to contact, encourage, facilitate and engage communities to identify childhood blindness and childhood cataract. He or she would also provide support and linkages with hospital and other services (education, rehabilitation). Increased awareness, however, may not be enough as age-old beliefs and attitudes persist. Opportunities for face-to-face discussion should be built into the strategy. Key informants (school teachers, imams, NGO workers) may act as ‘change agents’, changing community attitudes and beliefs about childhood blindness. Finally, however much parents are convinced about the need to seek treatment for a cataract blind child, practical and financial barriers may prevent them from carrying out their intentions. Mechanisms need to be developed locally to provide financial and practical support to families of children with cataract. Local philanthropists, corporate sponsors, government departments and other interested parties should be encouraged to support these children and their families. Another approach is to train all those likely to be consulted by the parents of a blind child: traditional healers (including ‘untrained village doctors’ and spiritual healers), health workers, medical doctors and general practitioners. Training curricula for all primary eye care workers should specifically cover eye diseases in childhood, including cataract. Outdated messages such as ‘wait for the cataract to mature’ should be corrected (see 10 Key Messages on Childhood Cataract). 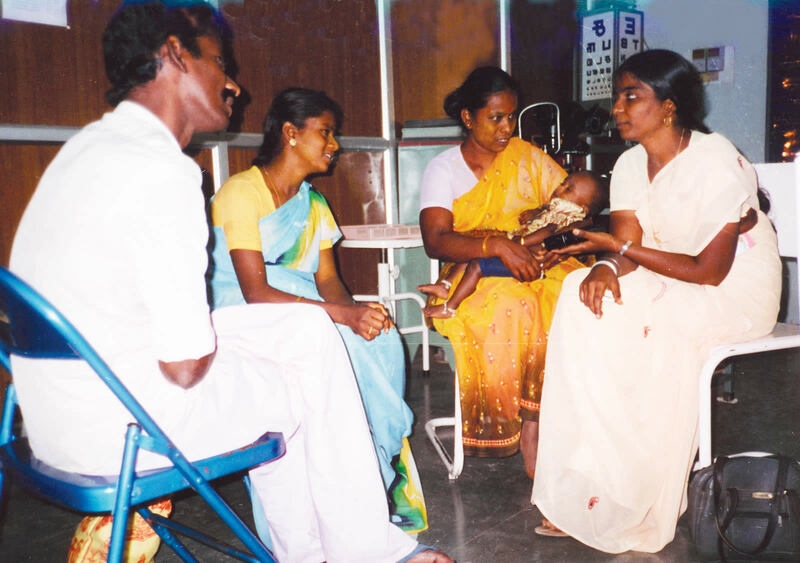 Ideally, all blind children should receive a free eye examination by an ophthalmologist in their home sub-district. One idea to achieve this is a mobile community child sight clinic led by an ophthalmologist. High quality surgery for children should be provided by a well-trained team in a well-equipped hospital with linkages to the community-level service providers. Long term follow-up and postoperative optical correction are essential components of cataract surgical services for children. Children should receive follow-up services from an ophthalmologist either in the eye hospital or in the community clinic. Programmes should adopt a proactive approach, for example by follow-up visits by the ophthalmologist and his team at sub-district level. Communication between hospital and parents needs to be enhanced. Parents need clear instructions for follow-up and opportunities to ask questions. Without engaging parents in the process it is impossible to achieve their commitment for long-term follow-up. Sector wide linkages should be developed between eye hospitals, NGOs, primary health care workers, community-based rehabilitation (CBR) workers, educators and other development workers as well as key members of each community. Counselling at each stage should provide an opportunity to overcome barriers, develop an understanding of the disease, and provide support to the parents. Self-help groups of families with blind children can empower families, encourage long-term engagement of communities with eye care programmes, provide support to those in need, and create a sustainable framework for community-based eye care. Effort and care are needed to establish such groups and should be supported by the eye care providers in each district. 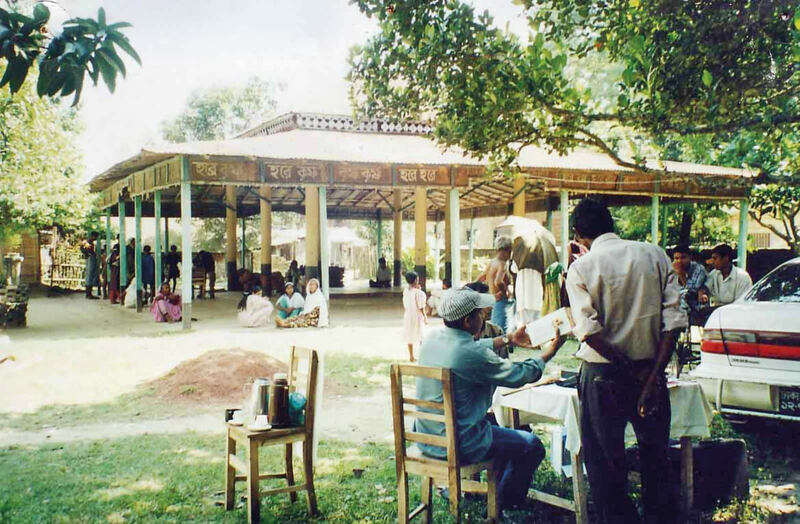 The framework in this article outlines some basic considerations for establishing community action for children with cataract while at the same time ensuring that the infrastructure is in place to meet the need for services. It proposes that the starting point should always be an understanding of the barriers, as this will help to make the approach appropriate to each setting. 1 Gilbert CE, Foster A. Childhood blindness in the context of VISION 2020:The Right to Sight. Bull World Health Organ 2001; 79: 227-232. 2 Muhit M, Gilbert C, Foster A. 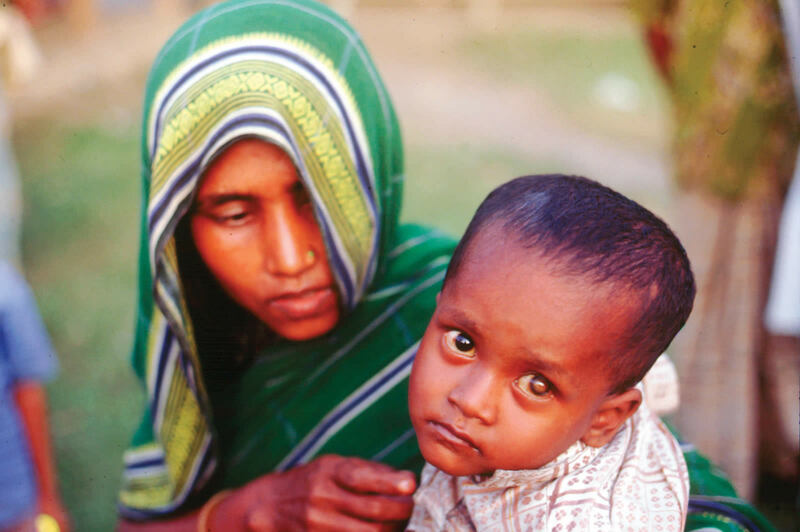 Causes of Childhood Blindness in Bangladesh: Results of a National Study of 1,935 Children with Blindness and Severe Visual Impairment. (In preparation). 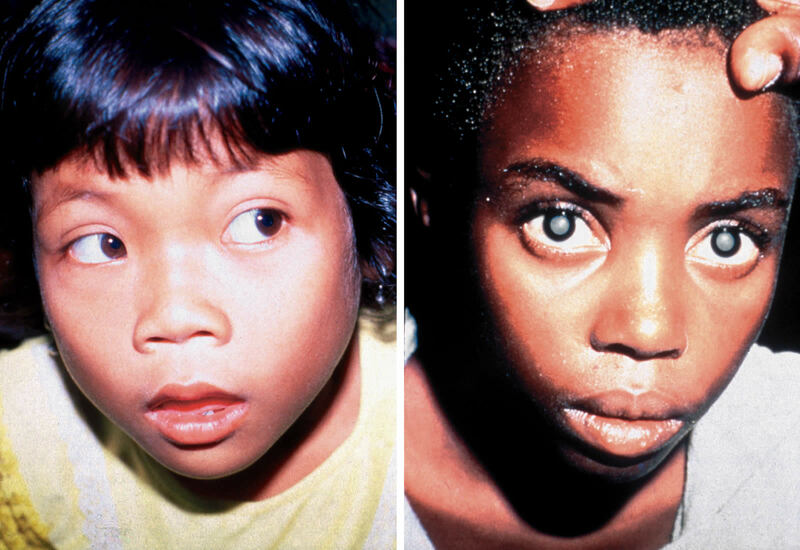 3 Muhit M, Gilbert C. A review of epidemiology and control of childhood blindness. Trop Doct 2003; 33(4):197-201.